Someone rightly said less is more. There is a reason why minimalism is on the rise. And it is also because of that silhouettes work much better than a detailed image could ever. So in case you too are planning to explore that side of your design skills, go through the list compiled here for you that contains a whole bunch of silhouette designs that are available to you for free. You can use these designs for your personal project, or you can even put them up for commercial use. The choice is yours. 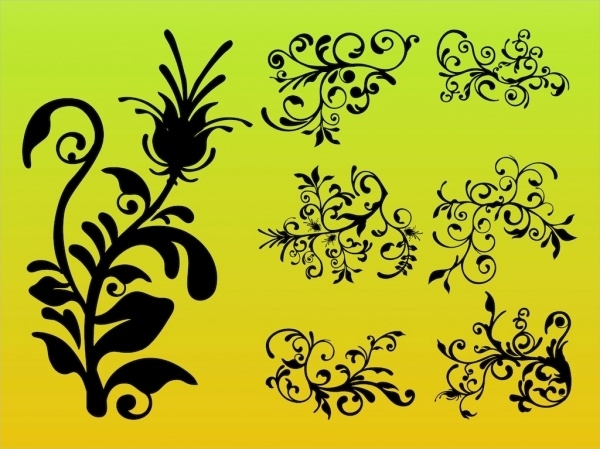 To start off with this here is a silhouette design collection of 5 different trees. 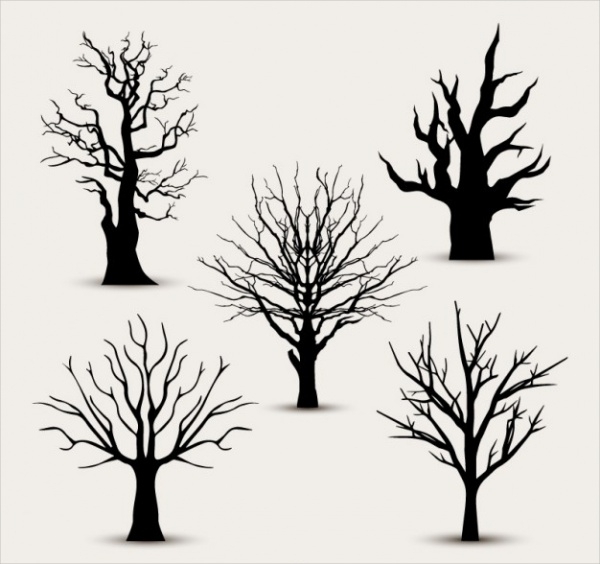 The leafless trees look quite fancy and the entire collection can be downloaded as a single vector file from the given link. 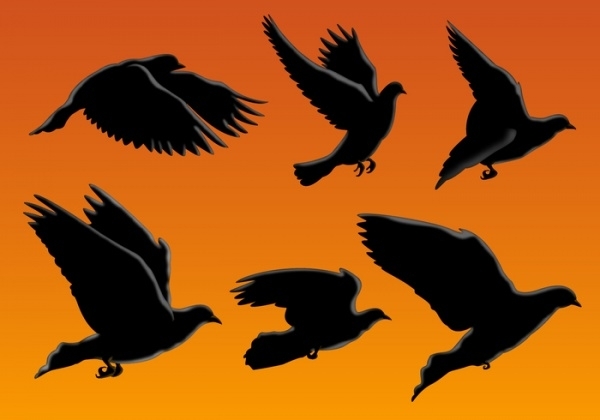 Check out this collection of flying birds’ silhouettes. 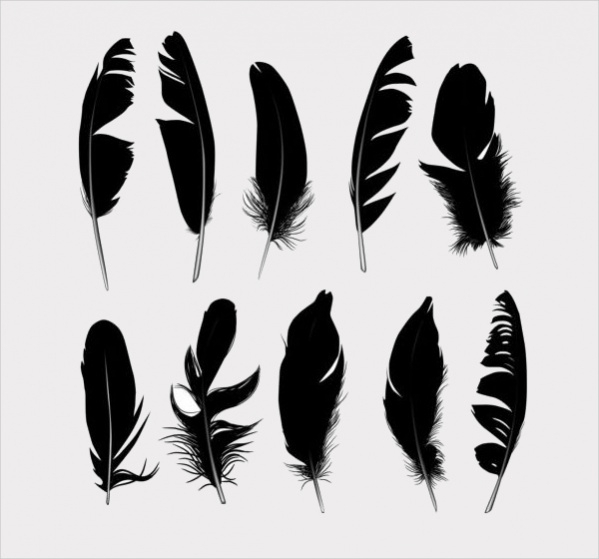 You can use these designs for any wildlife project or show birds in flight in the far background of your upcoming design project. 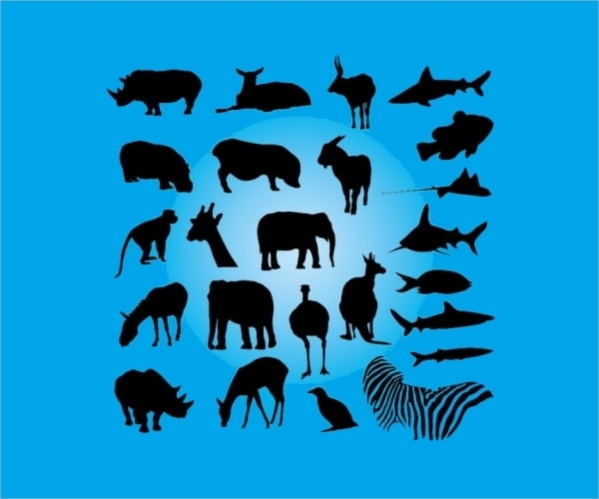 Here is a wide collection of animal silhouettes that will add to your wildlife bird collection as well. From the link provided below, you can download the design collection in either illustrator format or eps file format. Are you looking for designs that will give sea world some new addition? 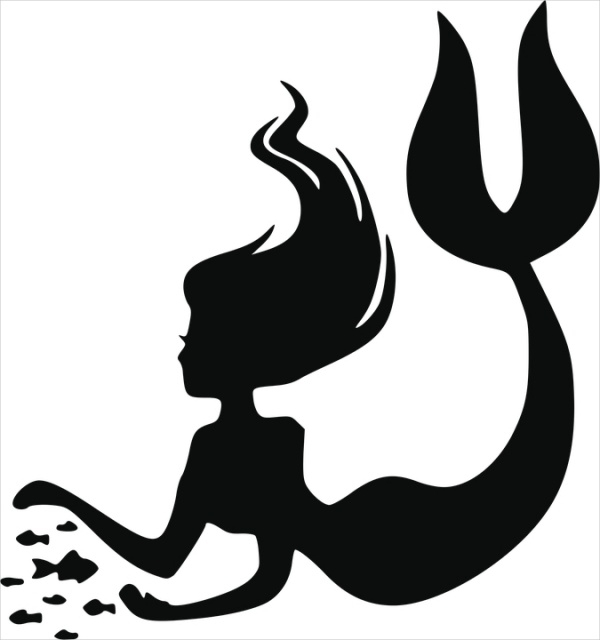 If so, then here is a silhouette of a mermaid playing with her fish friends available to you in a transparent background to download and use. In this link, you will find silhouettes of women, mostly in between their fashion walk. You can download this design as an editable vector in eps file format and use it for fashion projects. Butterflies are one of the most beautiful creatures if you look closely into the artwork they have. 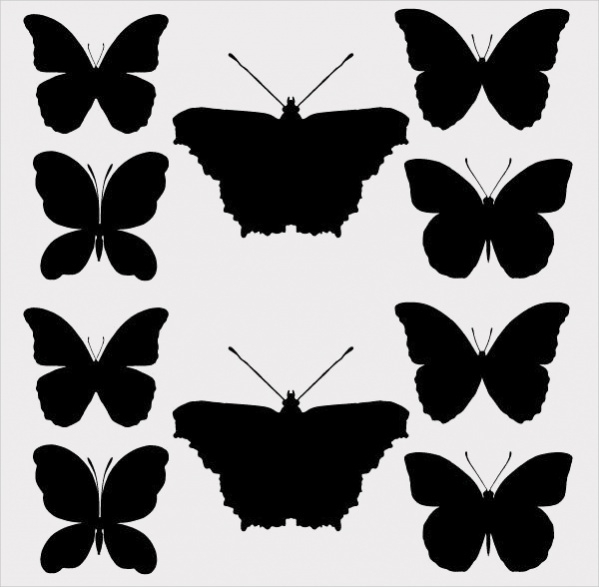 But since we are on the topic of silhouettes, here is a bunch of butterfly silhouettes that you can download as a vector illustration. 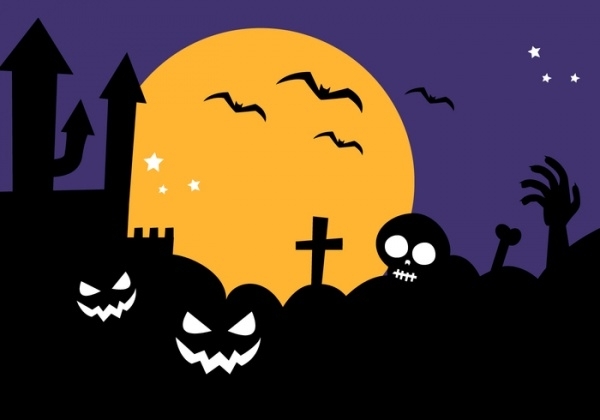 You are going to find this design very useful that Halloween is almost here. This free vector illustration can pass off as a silhouette and very easily used as the background for your greeting card or invitation design. This silhouette collection contains a total of seven creative digitally illustrated designs of decorative floral patterns that you can repeat over your design for an elegant frame, or just use as an ornamental design element. 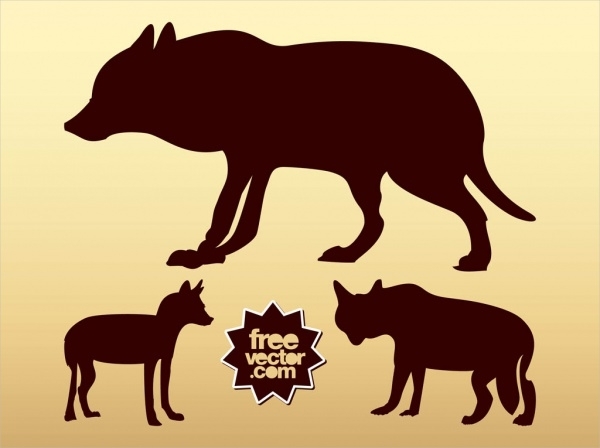 Adding to the wildlife collection, here is a silhouette collection of 3 different wolves that you can use for your road signs, the ban against hunting designs and probably textbook illustrations. Check out the link provided below to download this pack. 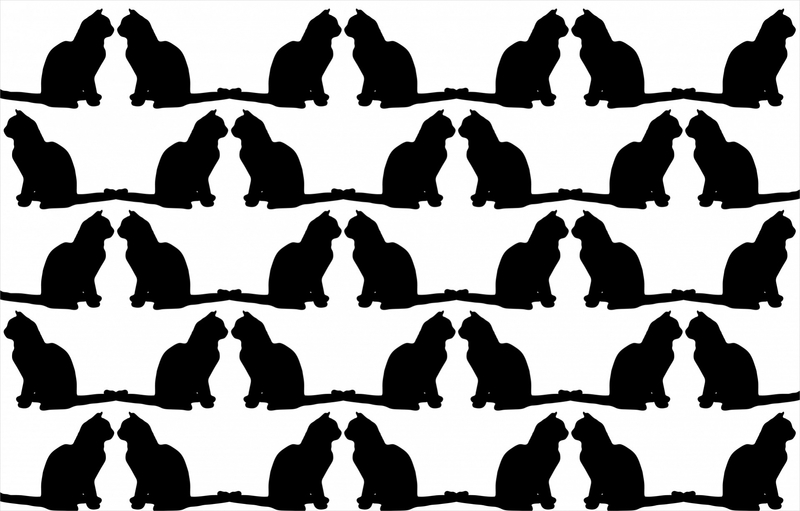 Here is a wallpaper design filled with the same repeating silhouette of two cats sitting face to face. Probably they are just the mirror image of the same cat silhouette. Make sure to read the licensing agreement before using it commercially. 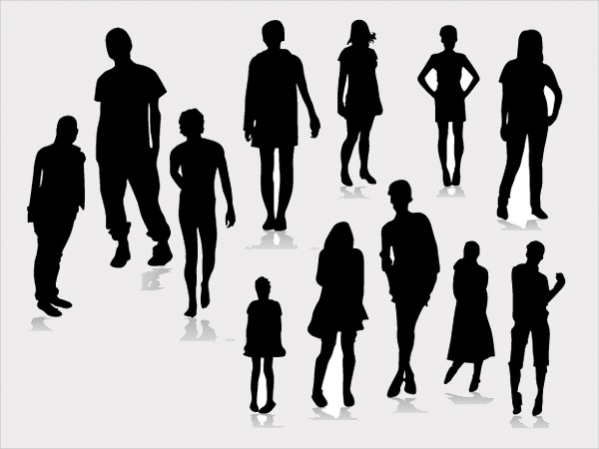 In case you are working on a brochure design for a corporate or an education institute where you will probably need a lot of people silhouettes, then this free download of the vector illustration is the one you should go for. Feathers look quite beautiful. But here the colors have been taken off and they are available in the simple black color on a white background. You can even use them as photoshop brushes and change the size and other overlay options. It will be the holiday season before you know it. 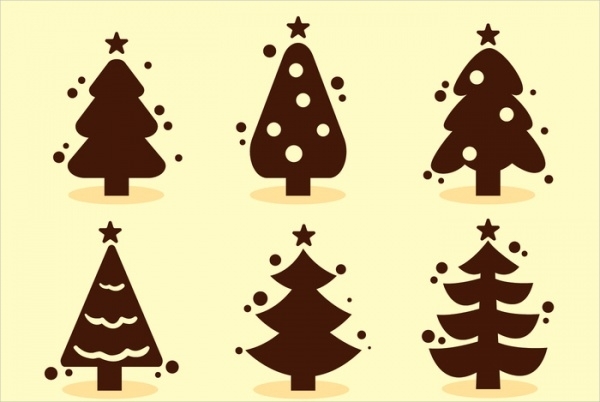 And believe it or not, these decorated Christmas trees’ silhouettes are going to look really cute on your Christmas greeting cards and party invitations. 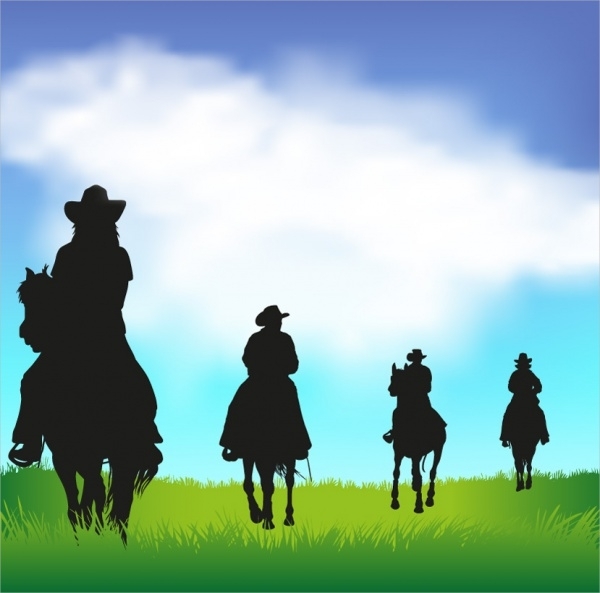 The wild west is known not for just the untamed animals, but also the rowdy cowboys. Here is a silhouette collection that you can download as editable vectors and use in your commercial projects. Here is another collection of fashion silhouettes similar to the collection of women silhouettes you saw earlier in this list. You can also look at the other similar designs that are available under the same link as provided below. 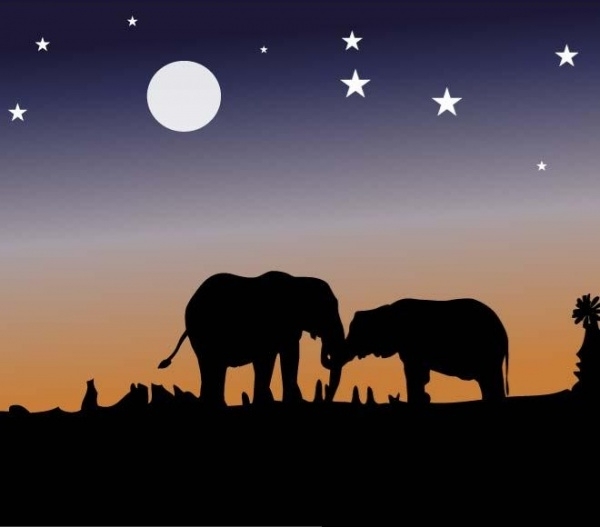 You might have already found an elephant in the wildlife silhouette collection. But here is a stock vector illustration specifically for this giant creature in its natural habitat in the night. Download it for free from here. After elephant, it is time for another herbivore. 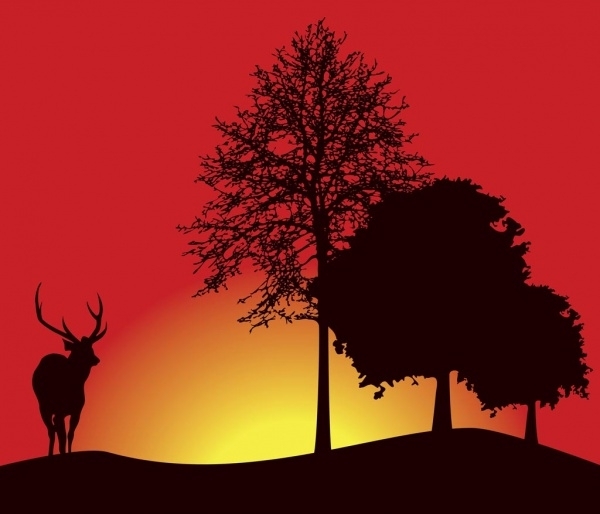 This time it is a deer illustration standing in front of the setting sun. The design looks quite beautiful and can be used just as it is a poster design or so. 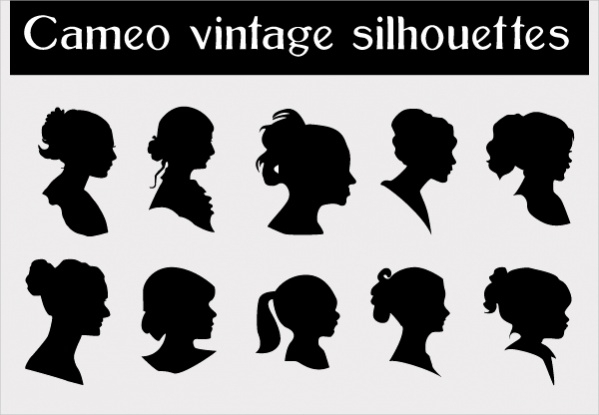 Here is a collection of cameo vintage silhouettes. The design came up only when the original designer was looking for something similar but couldn’t find anything. In the link provided, you can also see other related royalty free vectors. 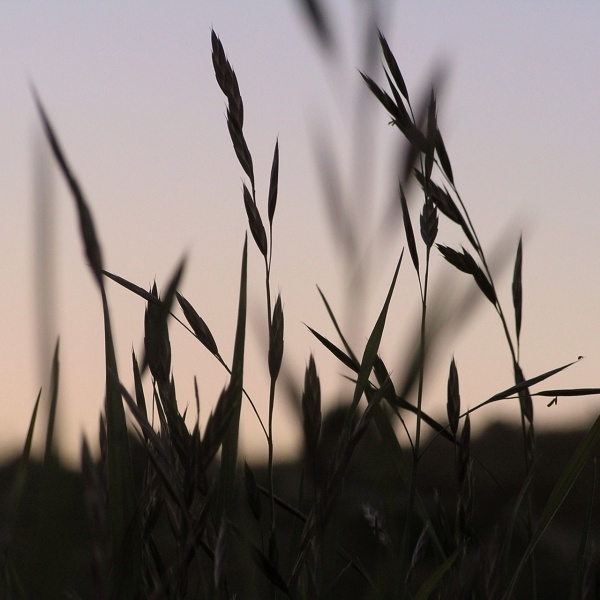 Here is a real silhouette of grass that probably started off as a real image which was later processed to give the appeal of the silhouette. You can even produce a similar effect using grass brushes in your editing software. Here is a silhouette which you can use for your party flyer or invitation. 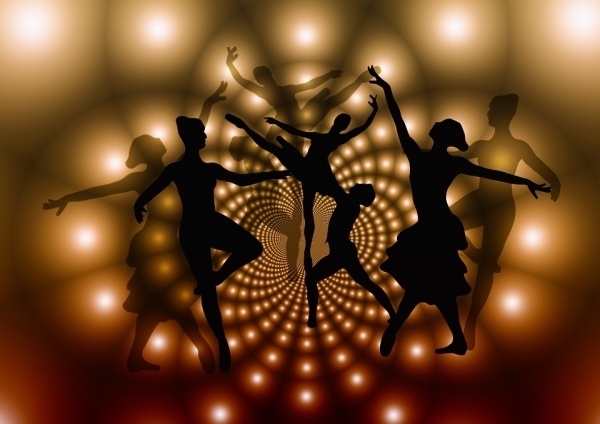 Be it for a club or for a house party, dancer silhouette can always find a place. And more so when it looks so great in itself in a design like this. All you need to do to use these free silhouette designs is to download them to your computer and then just fire up the required editing software you use which is compatible with the downloaded file format and get started on your design project. You might want to customize the original design to meet certain requirements or you could simply use the design as it is. And in case you want to create your own silhouette, you can always use an image and then desaturate the colors to a point where it gives you the right silhouette appeal. Even though these designs are available for free, it is recommended that you read the license agreement before you might go forward with using them in your commercial projects. And you can always give credits to the original designer, if not money. So hopefully these free vector silhouettes are going to find a place in your future designs.